Just like the unexamined life is not worth living, the unreviewed LSAT prep test is not worth taking. Imagine if you never reviewed or scored any of your LSAT practice tests and thus never knew for sure what you got right or wrong. Would you still improve? Possibly, but your progress would be a lot slower if indeed you got better at all. Reviewing LSAT preptests correctly is the key to getting better quickly. The LSAT is like any other skill: you have to see what you are doing wrong in order to improve. Sports like tennis are great because you get instant feedback: if you mess up the shot, it doesn’t go in, so you have better do differently next time you swing, right? In tennis, practice and reinforcement kind of happens at the same time. It’s a little harder to get the mix of practice and feedback right on the LSAT. 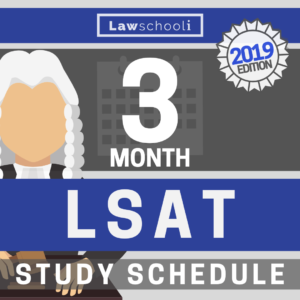 In this post we show you how to review LSAT practice tests to get proper feedback and squeeze the most out of your prep. This is the method we used to on the way to hitting very high scores on the actual test (Josh got a 177, Evan got a 173). Reviewing LSAT preptests is the point at which you switch over from merely practice to actually teaching yourself. This is an important distinction to grasp. Review is actually more important than working through tons of LSAT problems, so never skip it. We’d rather you do 35 preptests with good solid review than 70 without it. In the early part of your prep schedule, especially the first month, you are mostly only doing untimed questions (see our prep study schedule for a full breakdown of what to do when) With untimed questions, it’s very tempting to jump ahead to the answer choices right away (often before you are done reasoning through the problem) to see if you got the right answer. Here’s the thing about the real LSAT test you are studying for: There’s no answers in the back. You have to learn how to do the best thinking you can do on your own. Untimed prep is all about learning how to reason through these questions under the best conditions possible before you add time pressure later in your prep. Step 1 – Pick some problems and start doing them! Decide on a block of five to ten problems that you are going do in a row without looking at the answers. Sit down and start doing them. Some questions are going to be pretty easy. You’ll be close to 100% sure not only that the answer you chose is right, but also that the other answer choices are wrong for a some reason that you can readily identify. Don’t do anything special to mark these questions. Just do them, eliminating the wrong answer choices and circling the one you think is correct, then move on. When you get to harder questions, reason them out as best as you can. Eliminate any and all answer choices that you are sure are incorrect. Then really think hard and pick the one you think is best. Now, mark the question so you can come back to it later. What we would do is circle the question number at the top left of the question so it’s easy to find again. Often there will be one problem that you just can’t decide at all which of two or three remaining answer choices are best. Do your best, but move on when it becomes absolutely clear you aren’t making progress on your own (still pick an answer just like you would on the real test). Mark these problems with a star around the question number. Sometimes a second look after can help you see something you didn’t see the first time, and suddenly the problem becomes easier. For this reason, take a quick second try at starred problems (and maybe some of the harder circled ones) before you check the answers. If any are wrong, review those questions until you understand absolutely why the correct answer is better than the one you picked. You may want to review the relevant section in your Powerscore™ Bibles to see again how they recommend doing that specific question type if you think you really missed something fundamental. It might take a lot of thinking, but usually if you look at the words of a question long enough, you will see why your answer choice was wrong and the correct answer choice was right. Now, quickly review the circled (hard) and starred (very hard) questions you got right. You want to make sure you understand exactly why you got any questions right, meaning you should be able to identify exactly why the answer you picked is right and exactly why the other answer choices are wrong. Having the right answer doesn’t guarantee that you understood it. You always want to understand each and every LSAT problem that you encounter. 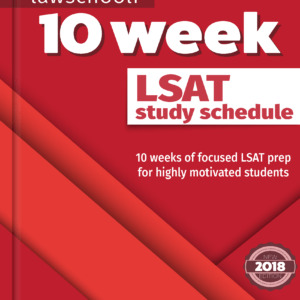 Explanations- while I don’t always recommend them because they don’t force you to think through things on your own, LSAT preptest explanations are often a good way to learn why you got questions right or wrong when you are starting out and having significant trouble seeing it for yourself. If you buy explanations, don’t use them until you have absolutely done everything you can to understand the problems with just your own brain. Lots of people have published explanations, but some are a lot better than others. We recommend the books in Fox Test Prep’s explanation series: Cheating The LSAT, Breaking The LSAT, and Exposing The LSAT. If you think you’ll like explanations early in your prep, consider starting off your untimed LSAT question prep with these three books. You always want to keep a log of problems that you had difficultly with. Keep 3 separate lists of the specific question type for each problem you got wrong, circled, or starred. You do this so that later in your LSAT prep you can see patterns as to which questions types are giving you the most difficulty. 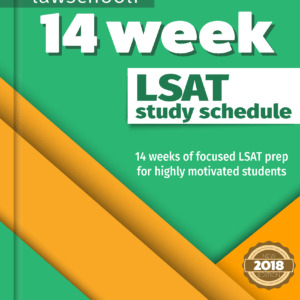 Early in your prep you will learn how to identify questions by type from whatever prep books you are using to learn the LSAT. We recommend using the Powerscore™ ‘Bible’ Series. Reviewing timed tests is a slightly different game. Here, you do a whole section within the time limit before doing any kind of review. Almost everyone likes to look straight at the answers after finishing a section. This is a huge mistake! Do this and you will be missing out on valuable opportunity to reason through the hard problems untimed before learning the answer. Here is the proper way to review a timed LSAT practice test. Eliminate wrong answer choices, circle whatever answer you think is best, and mark your answers on the bubble sheet just like you will on test day. Same as you did with untimed questions, mark any question you aren’t pretty close sure about with a circle around the question number. Again, same as before, mark the ones that have you at a total loss with a star. Still pick an answer and bubble it on the answer sheet. Here’s the key move: You will have all the answers for the timed test on the bubble sheet. However, BEFORE you see if you got them right, go back and redo all the circled (hard) and starred (very hard) questions untimed. This way your brain gets another chance to learn how to do them right without the time pressure. This actually helps develop speed on future questions. Think about it: when you do a question under time pressure you often have to give up on that one and move on before you’ve really had a chance to reason it out fully (For example, on LR, you are generally well advised to move on if an individual question is taking more than 2.5 minutes). Because you didn’t see your way through to the correct answer, you really won’t get much of a benefit from that question unless you go back and do it right untimed. Do it right untimed and there is a better chance that next time your brain will know how to do a similar question within the proper amount of time. This part is the same as for untimed problems. Again, the key is to make sure understand each and every difficult problem (and any easy ones you got wrong for some reason. Extra tip: look carefully at what tripped you up every time you make a “dumb” mistake. Often you can see a pattern and just knowing that will make you more alert when you encounter that again). This part is a little different for timed tests. Here you want to keep a separate log of problems that you got wrong under time pressure (any wrong on your bubbled answer sheet) and any you got wrong even when you did them untimed after. Pay special attention to the problems that you got wrong untimed. These are problems that you might be having substantive issues with. If any patterns emerge, make sure you go back to your bibles and review the question types that are giving you trouble. You should also do this for problems that you had difficultly with under time pressure, but with these, place and extra emphasis on learning how to build speed. Consider going through old practice tests and pulling out lots of questions of just that type to drill with and build speed. Next Article What Is Law School Like? I have really appreciated your material. I’m in the final two weeks before the December LSAT. I feel I have narrowed down one of my key weaknesses. I am able to see the flaw in the arguments (if necessary) and generally have a good prephase, BUT I get stuck in the tricky/tiresome wording of the answer choices. Do you have any tips on sorting through the terrible wording of answer choices and not getting tricked!? I just received all 9 books you recommended in the mail today! I plan on taking the February LSAT, I know it’s only ten weeks but hopefully I’ll succeed. Thanks for making this site it’s extremely useful! We are generally a little better about answering the blog comments quickly, so if you ever need fast advice definitely just hit us up on here. As far as the logging goes, it doesn’t have to be super formal. Just keep track of the types of questions that you are getting wrong. This is most helpful for fixing logical reasoning problems. So mark down whether the question you got wrong is assumption, parallel reasoning, formal logic etc. That way you know which question types are giving you the most trouble and can zero in on them when you study. I sent Josh an email, but I thought I’d comment here, too. After reading this post I’m a little confused about what our logging should look like. Can you explain that a bit more in depth? Thanks for all your posts and advice. They are extremely helpful. So I had another question – sorry if it is answered somewhere else. The LR Bible suggests first reading the stimulus, then the question stem, prephrase an answer, then look at the answers and choose one. They advise against reading the question first because then sometimes you have to read the question, read the stimulus, and then read the question again and you wouldn’t necessarily have time to read the question again. Also, you can often predict the question type from the stimulus. I was wondering if you would agree with reading the question only after reading the stimulus. Anyway, just wondering what your recommendation is re: first stimulus then question or vice versa. I see you answered some of my question here actually. I appreciate this post too – just seeing some thoughts on how others handle reviewing is helpful. A friend had recommended after finishing a test, going over all of the answers, whether right or wrong, to help reinforce the concepts but I like this idea of starring or circling the ones that I’m not sure about too. I find your way of reviewing practice tests very useful. I have used it for Logical Reasoning problems as it is easy to sort the problems by problem type. For Reading Comprehension and Logic Games, I assume I would do the same thing(although it is not as easy to group RC and LG as LR questions) unless there is a different method for RC and LG. 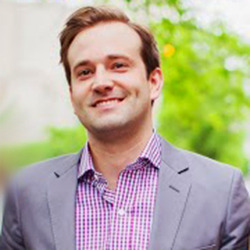 I’m glad to hear that you are finding this method of reviewing LSAT practice tests useful! For LG, the best way is to use the Logic Games Bible and sort by game type. There is a game type classification guide at the back of the bible that makes it very easy to locate specific types of logic games, so I’d recommend starting there. RC is a bit more difficult to sort in a useful way, so don’t worry as much about grouping RC passages. However, still make notes on the question types that you are missing and go back and review the Reading Comprehension Bible to brush up on any areas of weakness. That’s one of my big problems with the major companies. They should keep the most recent 20 tests or so sacred for you to do simulated preptests as the test approaches. If you are doing 15 pts for the class and feel you need more practice, I would recommend also doing the most recent 15 that they don’t already use as full practice exams. Even if you will have seen many of the problems in them they should still have some value for developing timing. I am enrolled in a Blueprint course like Cameron is but will be taking the December LSAT instead. I will have taken 6 practice tests by the end of the course. I plan on buying the 3 February tests from LSAC, so I will have 12 tests not used by Blueprint in the course. I am still struggling to finish tests on time so would following your study schedule as if I started it last week be a good idea(doing more individual problems untimed, redoing problems I got wrong in practice untimed and re-reading guides for question types I have trouble with)? I plan on doing 15 practice tests in addition to the ones provided by the course and the 3 February tests, so I am most likely going to see questions I remember doing. I assume I should do the 15 pts with questions I have done before first before doing the remaining 12 pts. Lastly, how does doing timed pts and whole timed sections that include questions I have seen before help with timing? I think I got this answered for you on another post. Let me know if not and I’ll give a full answer here. One thing I didn’t address on the other answer is the usefulness generally of pts where you have seen some of the questions. On the whole, they are very useful practice. They can even help build a sense of what pacing should be like when you’ve really got the LSAT down. They also help you hammer in the patterns that you need to recognize to be succesful on the LSAT. Make sure when you do these problems again that you aren’t simply jumping to the remembered answer but that you can concretely identify why that answer is correct. The only thing is that these tests are not going to provide a super-accurate picture of what you are likely to score on the actual LSAT. You’ll need the fresh tests you have for that. Thanks for your answer! For some reason, when I asked this before, it disappeared from the comments(hence the repeats). I thought it was because I didn’t use a real name so I reposted the comments with my name. You can disregard the other comments(unless I mentioned something I forgot to before) because you answered my questions very thoroughly. Thanks! To get the most practice, I plan to do the most recent 15 pts that are not a part of the course even though they contain questions from homework. How does redoing problems I have done before in the form of timed pts and whole timed sections help with timing? Are there any other benefits than timing? Should I schedule these pts before the fresh pts? First, thanks for the great material. I am currently in a Blueprint course. We take 6 in-class proctored exams, and they provide 9 additional recent exams for us to print out and do on our own. I’ve read many of your posts and I’m thinking 15 practice exams isn’t enough. The problem is, all of the other released exams have questions that are either in our homework assignments, or that we go over in the lessons. That’s what I’m told. According to my BP class manager, we have access to every released LSAT question. Any advice regarding number of practice exams one should take, or taking exams from which you’ve already seen questions before? Thank you!